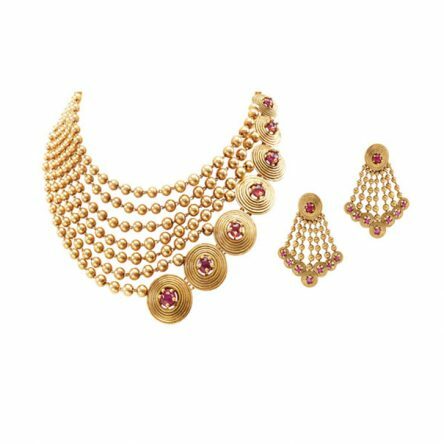 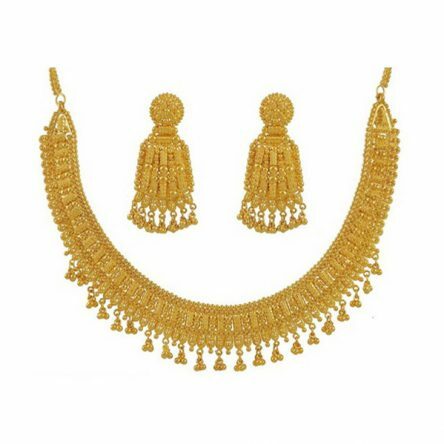 Handcrafted in 22ct Yellow gold, this set features an absolutely spectacular necklace of tradition with added pearl accents that increase the glamour quotient. 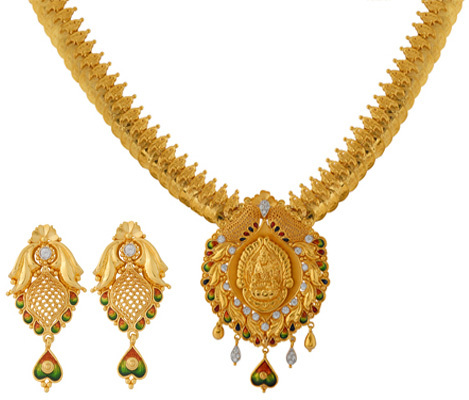 The matching studs complete the look with aplomb. 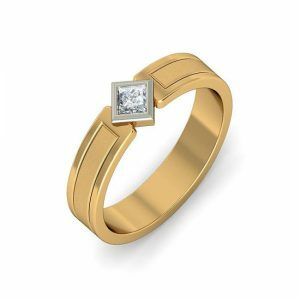 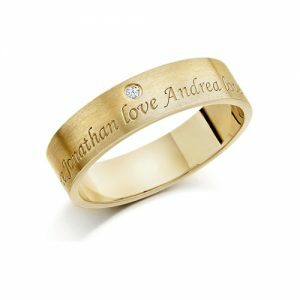 Good service and trustworthy jewellery….